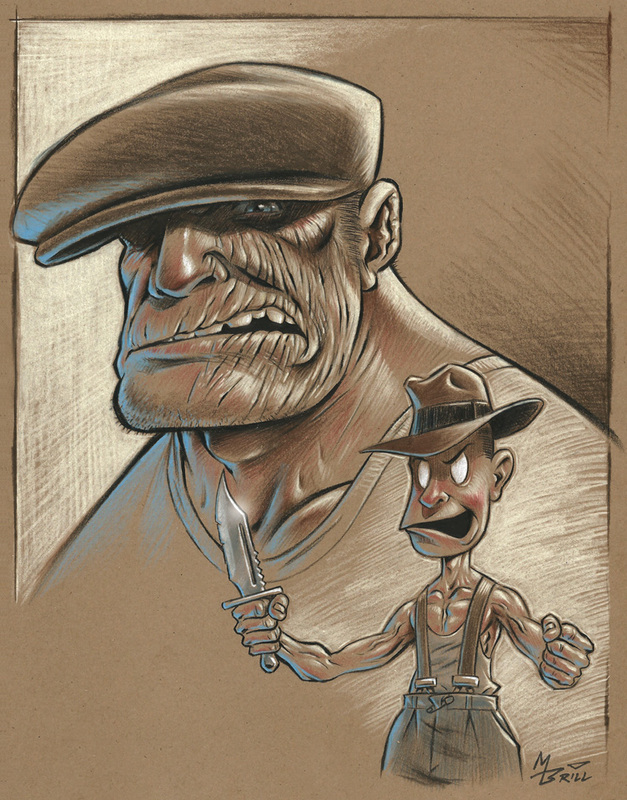 So I saw this post on FaceBook from Dark Horse Comics: "Draw The Goon Art Contest"! And I thought to myself, "Hey self, I love The Goon! And I love Eric Powell's art--I need to get in on this action!" So last night when I was busy having insomnia, I did this piece. I had been going through one of my Drew Struzan books for inspiration and really liked this technique of using color paper as a neutral background. I hadn't done it in a while and have been wanting to do some new pieces this way, and The Goon seemed tailor made for this style. Anyway, long story short--I did this and sent it off to the contest. I hope Eric Powell enjoys it--that's what it's really all about! A little love for Frankie and The Goon!